Crowd-sourced photo and video journalism… and more. 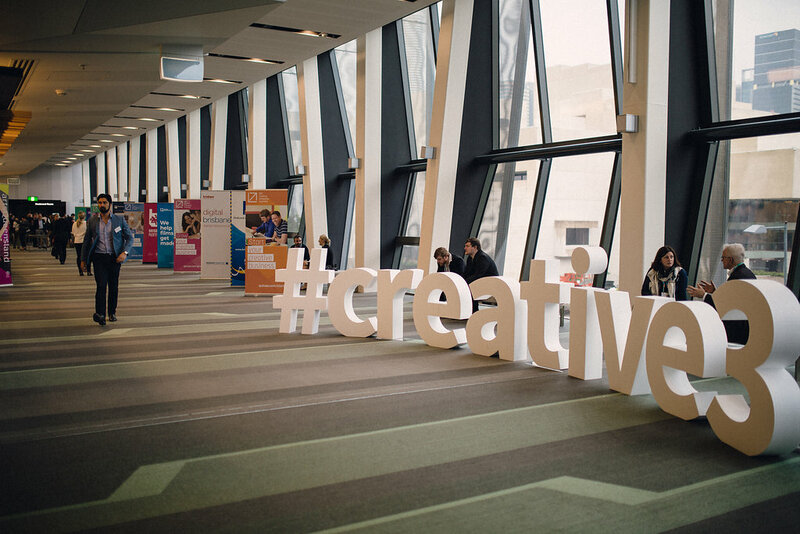 Yes, it’s quite fascinating to find yourself at the epicentre of creativity and innovation as I did when I recently attended the 2016 ‘Creative 3’ conference (courtesy of a bursary – thank you, QUT Business School!). Although I happen to be a QBS research student, it was through my independent membership of Creative Enterprise Australia (CEA) that the opportunity arose. 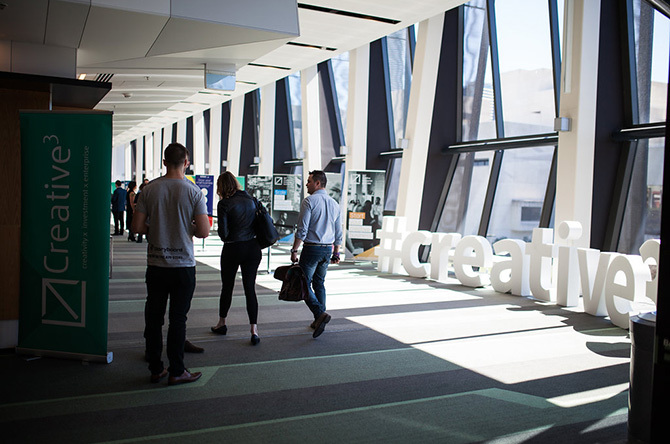 CEA is an initiative of QUT’s very own Creative Industries faculty. It’s a business accelerator for people undertaking creative ventures, typically in the start-up phase. As the founder and owner-operator of a new enterprise that produces functional fashion (Hummingbird Pie), I was understandably interested to join CEA and, when I heard about it, attend Creative3. And compelling it was – I felt at times as if I’d stepped into future. But what was of most interest to me ultimately was hearing the ‘how I did it’, nuts-and-bolts part of each speaker’s story. After all, there’s usually no shortage of ideas for the creative mind – it’s getting them off the ground, into reality and there for the long haul that really counts. 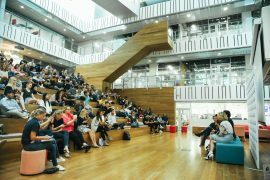 To this end we heard advice on how to find potential investors, how to pitch your ideas to them, how to work with them if you do succeed with your pitch, and more. As a part-time entrepreneur though the biggest take-away from the day was hearing from at least a couple of presenters that you have to be 100% committed to your project if you want it to succeed. This often means making a big investment of that all-important ingredient: time. At some stage, you need to take a leap of faith and just go there. As you probably need to do when it comes to Creative3 next year. For people at the nexus of business and creativity it’s a great place to get inspired and meet like minds and, who knows, perhaps even potential investors in your project. Meanwhile, visit the Creative3 website for the highlights. Make sure you watch the outrageously cute and dangerously catchy ‘Baby Shark’ clip while you’re there – a Creative3 hit!